The Watch Party feature for Facebook Groups has been tested over the last few months, and now it is finally available for all users of the notorious social network. Thanks to it, people within a group can watch a video together — it works for both live and pre-recorded content — and interact via comments and reactions. If you're not one of those who decided to close their Facebook accounts in the last year, the new feature for Groups called Watch Party will not make you change your mind and leave now. On the other hand, its introduction is not something that would bring people back, either. Obviously, at least some users will welcome this new feature those who use Facebook Groups. According to Facebook, Watch Party is only the beginning. 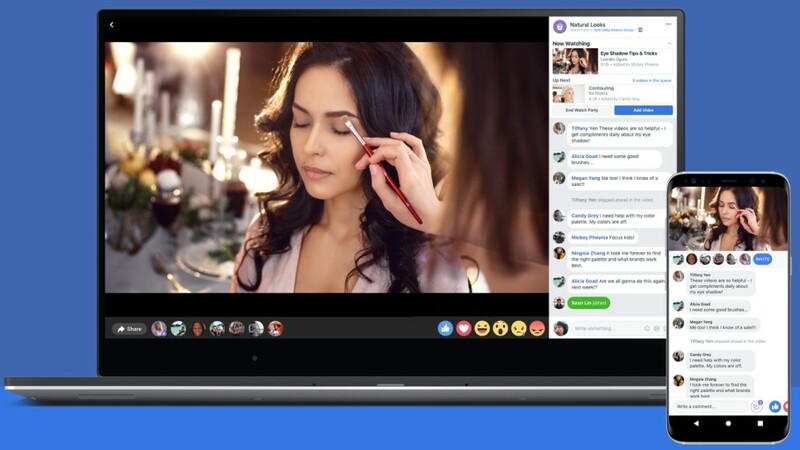 Now that the initial deployment of this feature is a thing of the past, the company is "starting to test the ability for people to start Watch Parties with friends outside of groups, too, and we’ll explore Watch Parties for Pages in the future." Watch Party features co-hosting and crowdsourcing, both allowing for more people to add new videos to watch. The first one allows the initial host of the Watch Party to add other co-hosts, while the second one allows any viewer to suggest new videos to throw in. If you're already into Facebook Groups, you definitely need to give this new feature a try. If you haven't joined any group yet, maybe now is the right time to do it. What do you think about this new Facebook feature? Let us know in the comments.